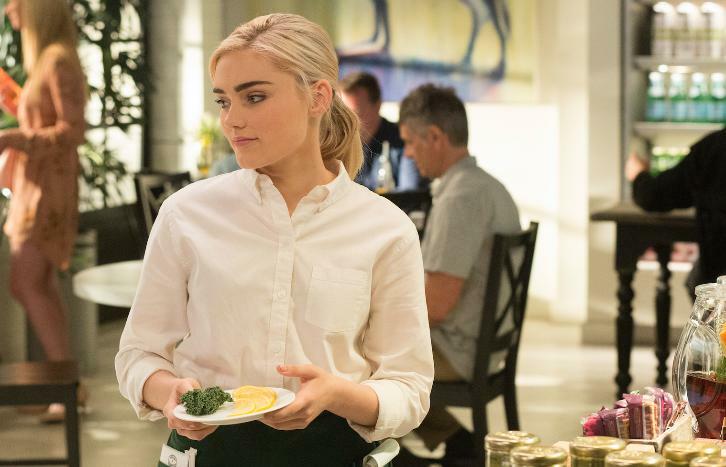 This week on American Housewife, Katie and Greg medal in their kids lives as much as they possibly can, with pretty much no success. Franklin is starting to annoy Katie, so she tries to convince Anna-Kat to socialize with other kids. That doesn't work, and neither does the car, which runs out of gas. When they get home, Katie yells at Taylor for using all of the gas. Taylor tells her that she didn't have the money for gas, and Katie suggests that she gets a job. Taylor resists, but Katie is determined. She's also determined to find that new friend for Anna-Kat. So far, neither of the girls are listening to her. Greg's also not having much luck with Oliver, when Oliver writes the exact opposite of the article he want him to write. At second breakfast with her friends, Katie discovers that Taylor got a job. She's less than thrilled about this, for some reason. At dinner, Taylor talks about how fun her new job is, and starts gossiping about Katie. In FRONT of Katie! Katie grabs Greg to yell at him about Taylor's new job. Greg doesn't see the problem, and tells her to deal with it. Then she shows him Oliver's paper. He immediately goes to yell at Oliver about it. So much for letting it go. Oliver gleefully reveals that he got an A on the paper, and Greg starts having a hissy fit. At school, Katie learns that she "forgot" to pick up Franklin, and then Franklin's mom shows up. She tells Katie that he'll no longer be riding with Katie, with a bit of push from Katie. Meanwhile, Greg is less than pleased to learn that Oliver's teacher actually took Oliver's advice and has stopped recycling. At the restaurant, Katie causes a scene and Taylor tells her to go. Unfortunately for Taylor, her boss sides with Katie and asks to see her after work. The kids are all turning on Katie and Greg, and Katie ends up sending them all to their rooms. Their complaints are honestly pretty valid, and Katie and Greg kinda agree. They both think that the other crossed the line, and they end up apologizing to their kids. The kids all get what they originally wanted, and Katie even gets a new friend in the form of Franklin's mom! Well, maybe. Franklin's mom is pretty weird. 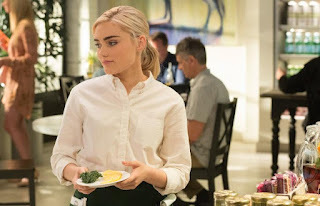 This was a really enjoyable episode of American Housewife, even if it didn't exactly break any new ground. Despite this, the episode itself was very funny. Katie was the standout (as usual), but Anna-Kat and Franklin also made me laugh quite a lot. I very much enjoyed that the show utilized all of the Ottos in meaningful ways this week, even if they weren't equal in quality. Taylor's story was my favorite this week, mostly because of Katie's epic freakout at the restaurant. Anna-Kat's was also good, though I wish it would have gotten more attention. Oliver's story was definitely the weakest, thoguh even it provided for a fun scene between Greg and the teacher. This was, in the end, a very fun (if slightly flawed) episode with many laughs. Mostly from Katie. Side note: What's with the song "What a Feeling" being played on ABC tonight? Not that I mind, but it's kind of strange that it was used on both The Goldbergs and American Housewife in one night.